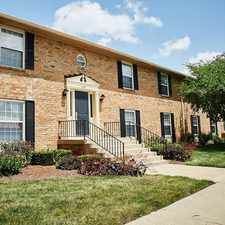 The rent at Honey Creek Apartments ranges from $785 for a two bedroom to a $885 three bedroom. Apartments in this building are about 23% less expensive than the Greenwood average. This is a pet-friendly apartment. This apartment is in Greenwood. Honey Creek Apartments has a Walk Score of 45 out of 100. This location is a Car-Dependent neighborhood so most errands require a car. Honey Creek apartments have the perfect location, great amenities, spacious floor plans, and are easily within your budget. What are you waiting for? You'll be less than 15 minutes from downtown Indianapolis: even closer to fine dining, museums, night life, and sporting events. We designed Honey Creek with the simple comforts of fully equipped kitchens, vaulted ceilings, washer/dryer connections, a nature trail, and expansive living space. Our superior service and hands-on staff will make you feel right at home. Honey Creek is located in the Four Star Center Grove School District. Looking for a home for sale in Greenwood? Explore how far you can travel by car, bus, bike and foot from Honey Creek Apartments. View all Greenwood apartments on a map. Search for homes in Greenwood or find a Greenwood real estate agent who knows walkable neighborhoods. Links will open on our partner site Redfin.com. Honey Creek Apartments is in the city of Greenwood, IN. Greenwood has an average Walk Score of 21 and has 49,791 residents.